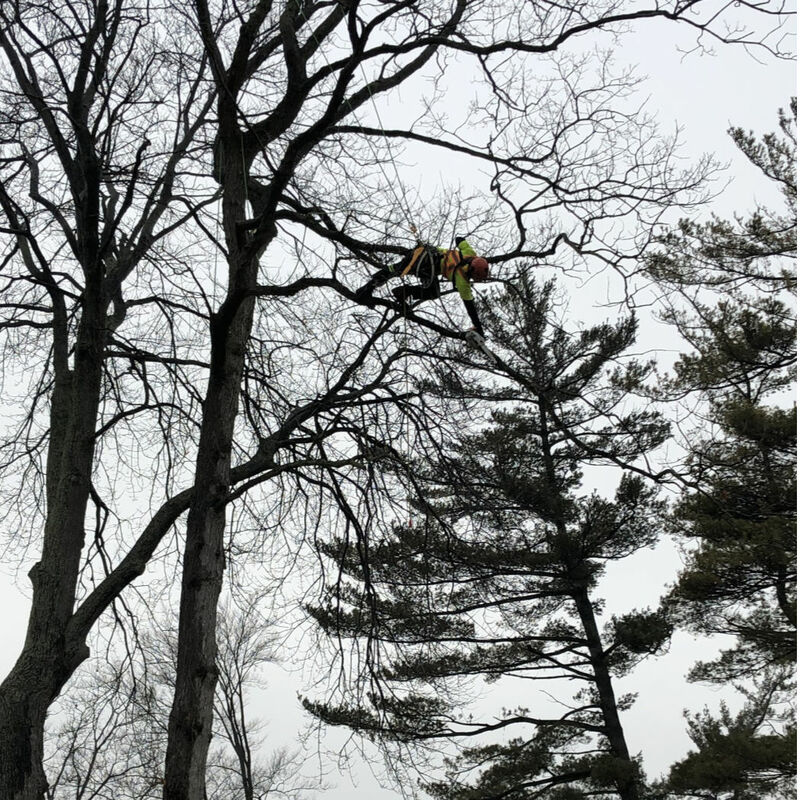 Need Tree Pruning Service, Tree Trimming or Deadwooding? Tim Can Help! Here’s where we shine. Commonly called ‘trimming’, pruning large shade trees for their benefit or for your necessary clearance can be critical. A healthy tree is a wonderful asset, whereas an unhealthy or damaged tree is often a liability. We have the ability to access places where no machinery can, and equally important, the skills and equipment to bring cut material safely to the ground. Raising removes the lowest branches to improve clearance for pedestrians, structures, and vehicles or in certain cases to improve the view. 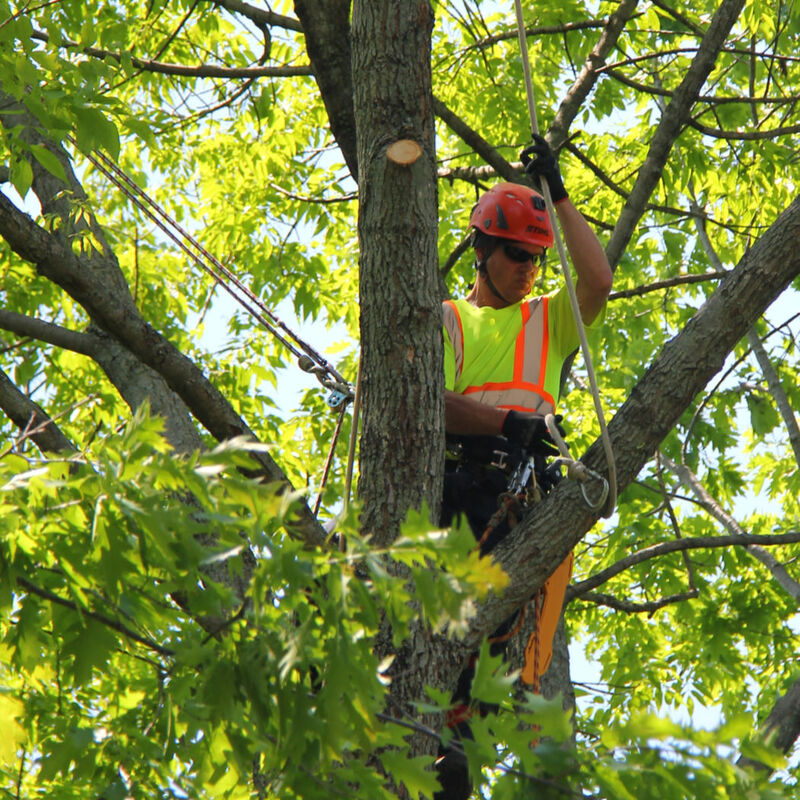 A large portion of our work involves pruning to create the necessary clearance for homes (oftentimes roof clearance). Obviously at bare minimum we want to keep trees from contacting houses but beyond that I feel that an envelope of space around one’s house is beneficial to keep air moving in order to reduce mildew and maintenance costs. The key here is to balance adequate clearance with being kind to your trees. Remember good pruning isn’t once and done, it should be revisited every certain number of years depending on your specific circumstances. This type of maintenance pruning can be done at any time of the year and it involves the removal of dead/dying/diseased, crowding/crossing, weakly attached, low vigor branches and excessive epicormic sprouts. Benefits include a safer environment for people and property as well as better aesthetics. This type of pruning is more subjective. It involves selective removal of some branches to reduce density in order to promote better air flow and light penetration. This can help reduce potential storm damage by lessening the wind load and reduce some pathogens due to increased air flow. 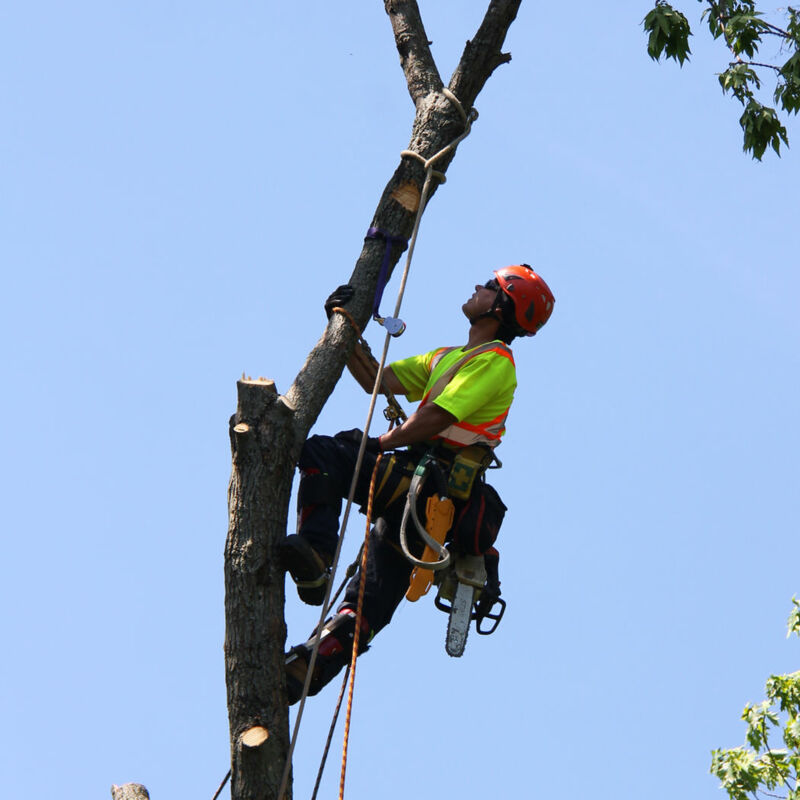 Topping: Removing whole tree tops or large branches to stubs or to lateral branches too small to assume the terminal role. 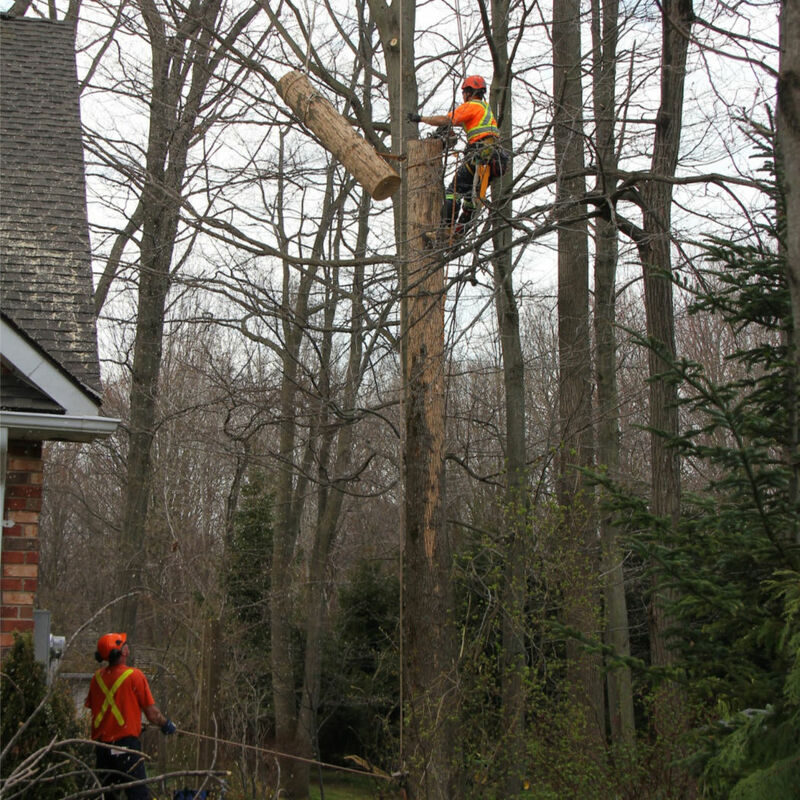 Topping is an awful thing to do to your trees which is often irreparable. Contact me for more information on why NOT to top your trees. Shaping or shearing: this generally involves manicuring a tree to an artificially round sphere, or a cone in the case of evergreens. Sometimes performed with hedge shears, this really isn’t our thing. 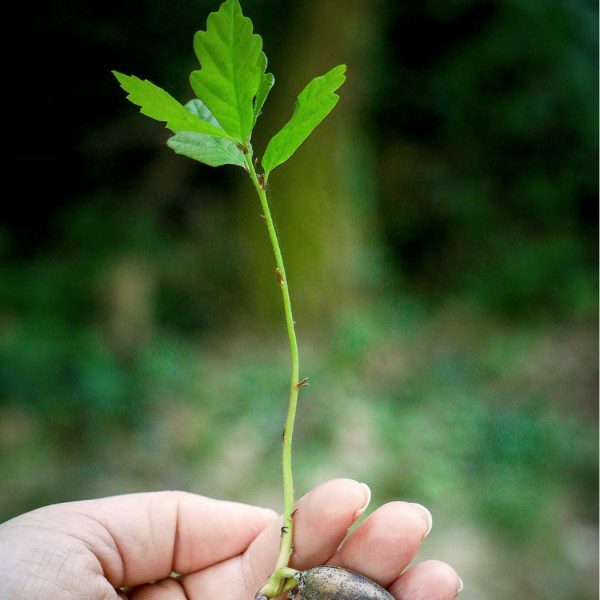 We instead strive to promote the healthy natural form of your particular tree. The last resort. 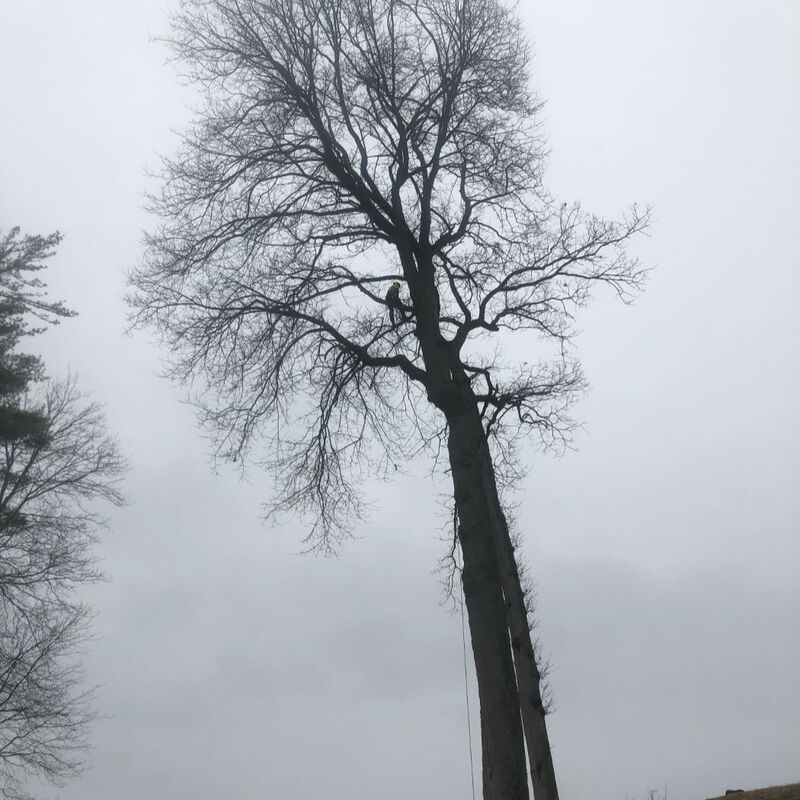 If your tree is dead/dying, damaged beyond repair, if the wrong species is in the wrong spot, or if new construction or improvement means it has to go removal may just be the reality. As mentioned, I have advantages as well as some limitations as a climber in comparison to an aerial device. The primary advantages are greater accessibility, and a lighter footprint. 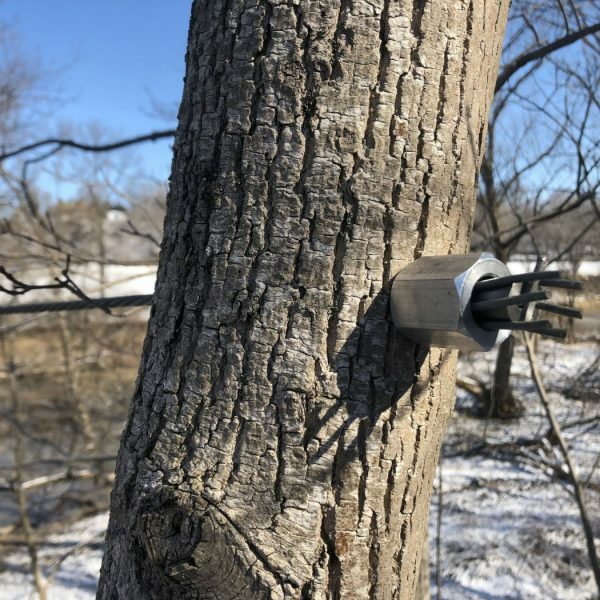 Tree by-laws are now the reality. 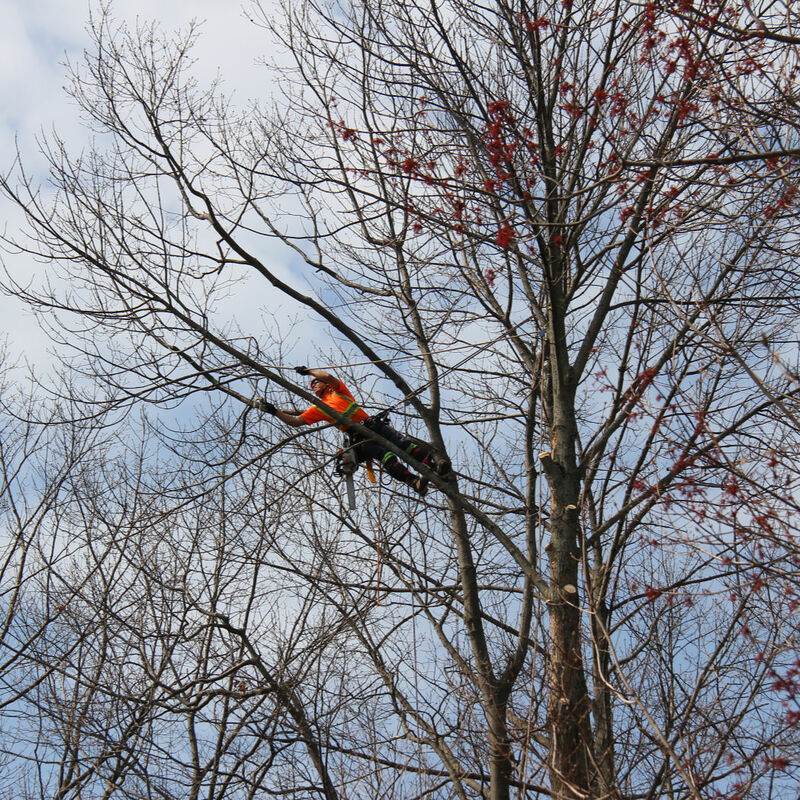 In some cases a permit is required to cut a privately owned tree. Contact me for details if you’re unsure. I’m familiar with the permitting process and can guide you through it. Remember, trees are renewable, and it’s always a good idea to plant a few for any we have to remove. You know what they say, the best time to plant a tree was 20 years ago, the second best time is now! In keeping with my niche of greater accessibility, my stump grinder is more narrow than most. We can gain access with around 30 inches of width. Many other machines require 3 feet or more. 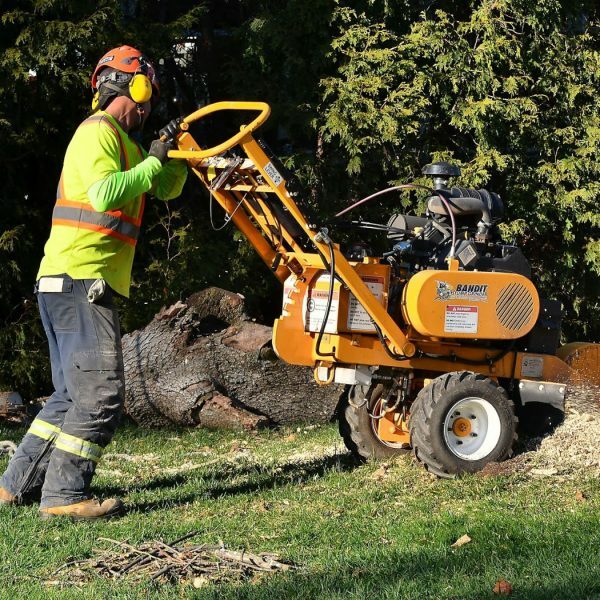 Smaller machines also make finer wood chips/mulch that better incorporate into the soil for an easier cleanup and final turf restoration. Tree care begins before the hole is dug. I can discuss factors to consider with your new installation when selecting a suitable species or when choosing your specimen at the nursery. Remember new plantings should be properly mulched and watered. This involves adding hardware to a tree to reinforce or strengthen weak points. 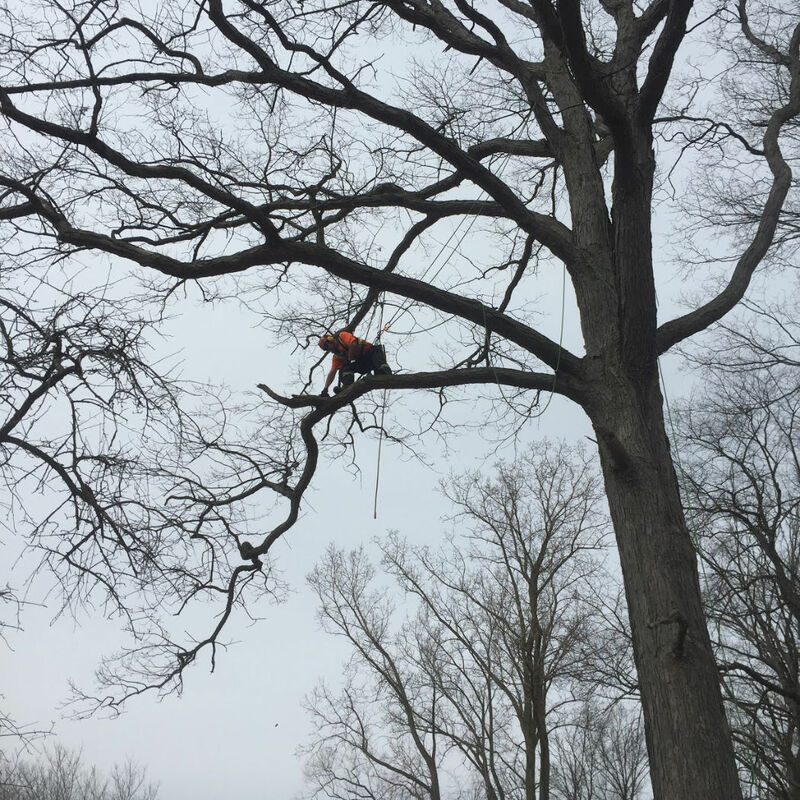 Bracing rods can be installed in a weak union, and support (in the form of steel cable or synthetic rope) is installed higher in the canopy to hold portions of the tree together. This can be an option to consider when a tree offers value (or is not permitted to be removed) but size or flaws make it worrisome. 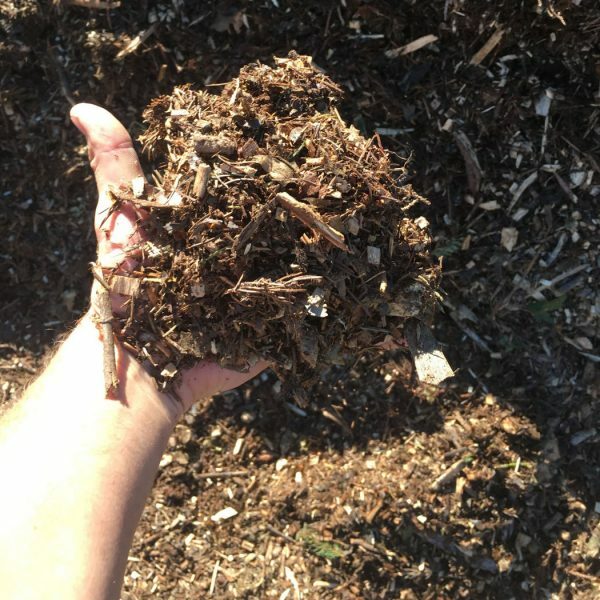 I produce a variety of mulch (wood chips) depending on obvious factors like the tree species and time of season. Looking for firewood to cut up and split yourself? Contact me for availability and delivery options. Some people want things left cleaner than when we arrive. “I wouldn’t even have known you were here other than that the tree is cut” is what we will hear. Other times, customers only require the material dismantled safely and left on the ground. They’re glad to take over from there. We can provide breakdown pricing if you wish so that you can choose what degree of service fits your ability and budget. Tim’s Tree Trimming & Removal Ltd. serves London, St. Thomas, Port Stanley and their rural neighbours.